In the sport of basketball, among many other things, the shoes are said to be one of the most important. A good pair of basketball shoes would not transform you into a professional athlete in just a few minutes, but it would allow you to use all of your skills and abilities in a way that would help you play better. 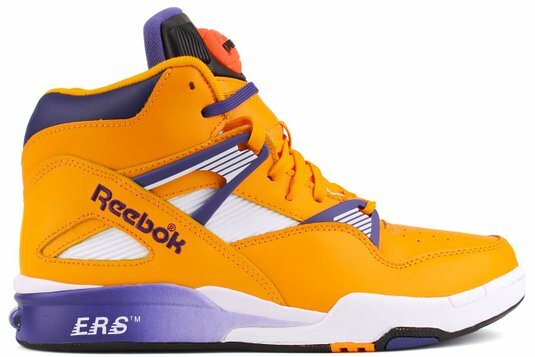 Why buy a Good Basketball Shoe? Another important reason to have good basketball shoes is because basketball is a very physically demanding sport, like any other physically demanding sport, playing basketball takes a toll on your body. From running up and down the court to jumping up to get that rebound, all of these movements cause stress on your joints. This is why selecting a good basketball shoe which facilitates your body is very important, because a good shoe can reduce the impact of the landing when you jump. A shoe with good arch support can assist you in running and making sure your feet are getting the support they need. There are many different basketball shoes out there in the market, but choosing one that fits the need is not as easy as it may seem. Some shoes are expensive and some are cheap, but getting the best value out of the shoe is what is really important. 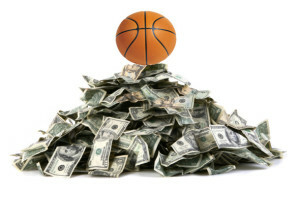 In this article, we will discuss the best basketball shoes for the money. 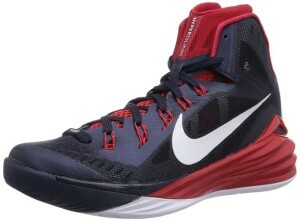 The Nike Hyperdunk is a very versatile shoe, suitable for almost all sorts of play styles. The shoe is very flexible and lightweight which allows it to be a good choice for a point guard, because as a point guard, one needs to be able to move quickly on the court and around screens to setup a good play that would ensure an easy basket before the clock runs out. 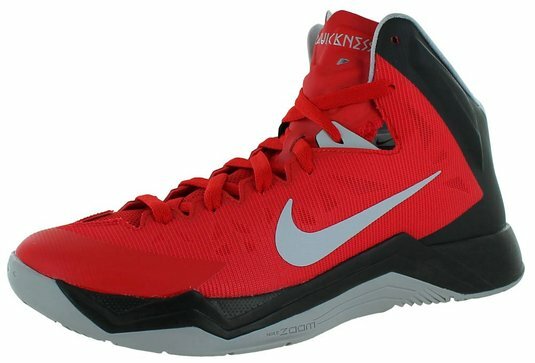 The shoe is featured with Nike lunarlon cushioning which is one of the best cushioning setups that could be found in a basketball shoe. 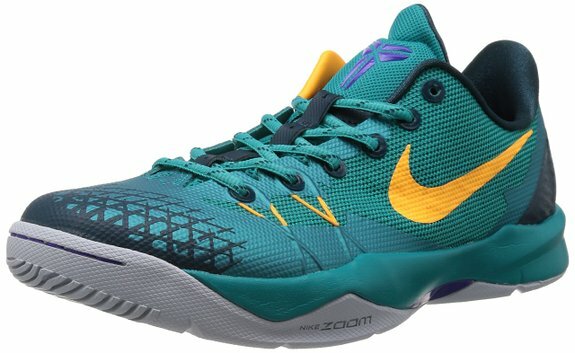 This cushioning allows this shoe to be a good choice for powerful moves that would be made by an aggressive and strong play style, such as of a center or a power forward position. The shoe has fly wire which ensures a good lockdown when you lace up the shoes. A well fitted shoe allows a player to be more confident in their moves because it contains the foot and does not allow the foot to move around inside the shoe. Traction is also another reason why this shoe is so good. It features a diamond shaped traction patter that grips indoor and outdoor surfaces very well, that allows for agile and quick movement. Under Armour’s ClutchFit Mid is one of the best basketball shoes out there when it comes to performance. It not only looks aesthetically pleasing, but also performs well on the basketball court. 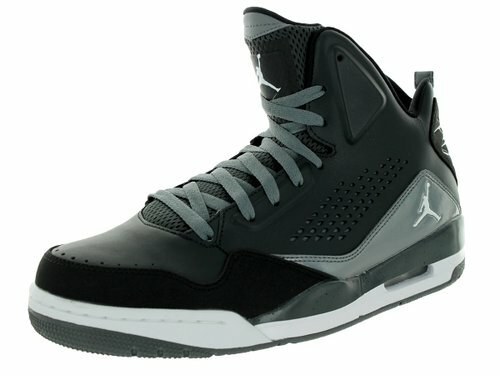 The shoe offers many different features, but most prominent feature that this shoe offers is the fit. A great fit on a basketball shoe is very important, because of the confidence it provides along with the comfort. UA has a feature in this shoe that is used to wrap around your foot to ensure great lockdown and snug fit without being too tight and restrictive. This shoe is very suitable for a player with strong powerful moves that cause hard landings, because it is fitted with the Micro G foam in the sole of the shoe. 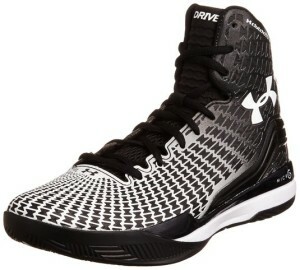 Micro G is a cushioning setup used by Under Armour and it is one of the greatest cushioning found in a basketball shoe. What makes this shoe stand out is the full length of Micro G cushion used throughout the shoe, which evenly distributes the impact of the landings to avoid excessive stress on the joints. The shoe is equipped with herringbone traction, which is no doubt exceptionally great on indoor and outdoor surfaces. The rubber outsole grips the floor well and makes it possible to stop on a dime for quick and agile moves. 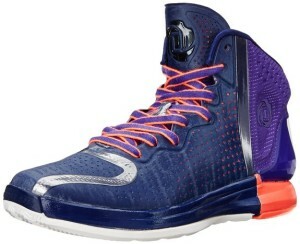 Derrick Rose’s signature shoe by Adidas is a very stylish and remarkable shoe. 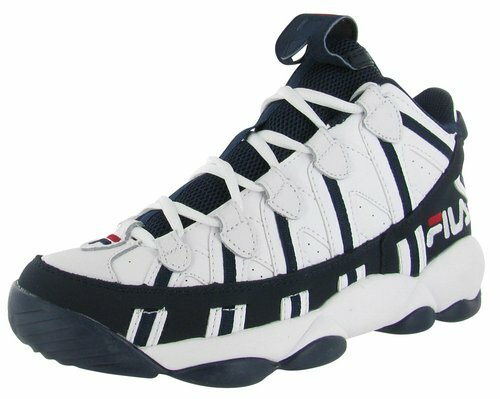 This shoe is popular amongst the Derrick Rose fans. The popularity of the shoe is not only because of it’s image, but it is also because of the performance it delivers. 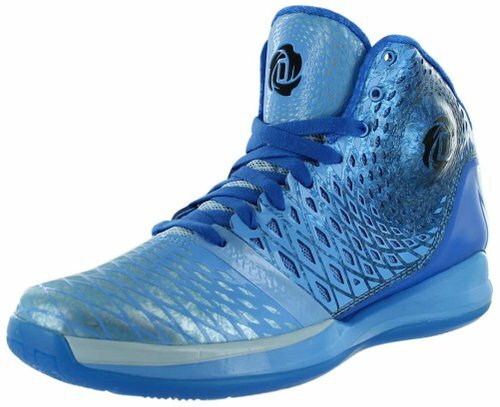 Rose 4 is a very lightweight shoe and specifically made for the play style of Derrick Rose. 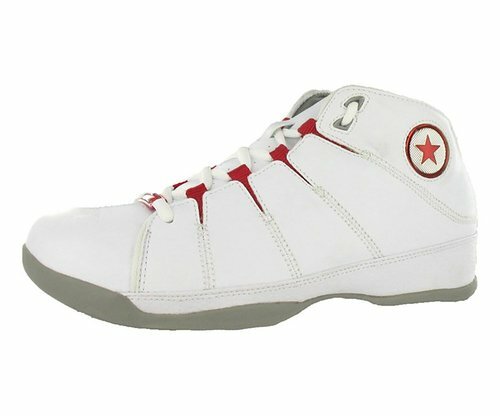 Derrick has a very aggressive and fast play style so this shoe facilitates in all such movements. The shoe has herringbone traction with multidirectional design. This allows the shoe to have good traction in front to back and lateral movements. The shoe features adiprene cushion designed by Adidas that provides plush cushioning with a lightweight design. The multiple flex points in the design allow the shoe to be extremely flexible while running to allow for a fluid motion. The sprint frame located in the mid of the shoe allows for good arch support and facilitates in running. In conclusion, all of these shoes provide great features that allow a player to take their game to the next level. 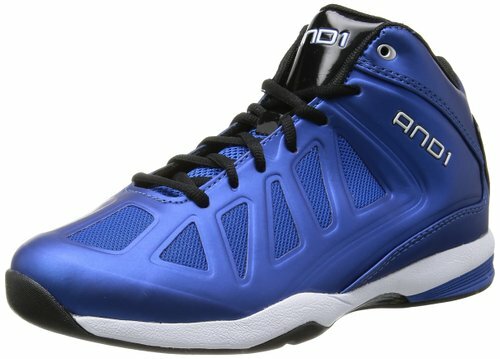 It would be difficult to choose from the best basketball shoes for the money out of these as a winner because of how equally competitive these are with each other, but if we would have to choose a shoe we choose the Under Armour ClutchFit as it looks very stylish and has a variety of features. Choosing any of these shoes is a personal preference based on the look and style.